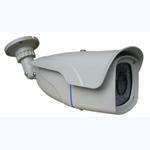 Manual adjust up/down 90degree, IR distance 20m, and it can be adjusted, All kinds of camera module can be installed inside. Mirror function. Protocol: PELCO-D. Power supply: DC12V±1V. Power consumption: 350mA. Temp: -30°C~50°C. Gross weight: 1.5KG.